“Flowers and hearth fire, spiced wine and underneath, the scent of home. 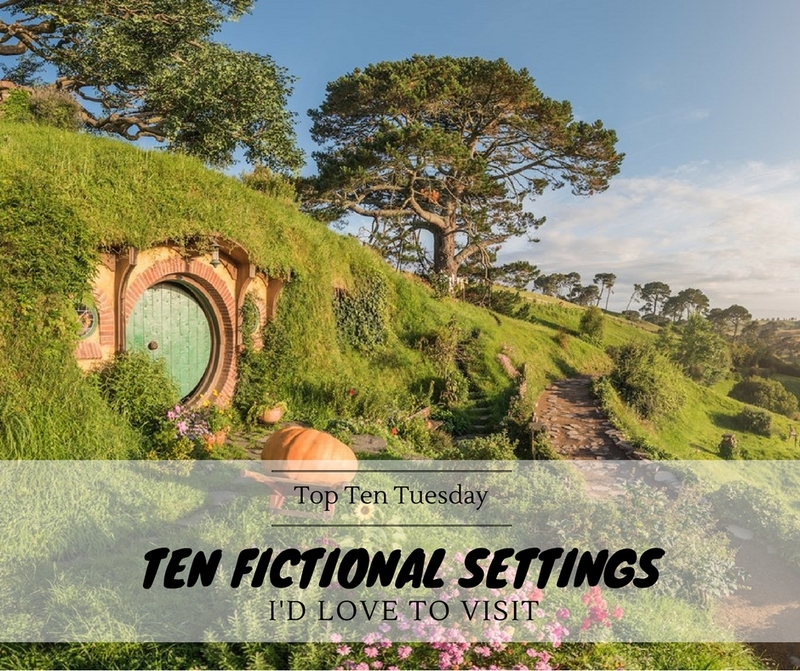 WHAT Fictional settings would you love to visit? Love that you’ve mentioned Stars Hollow. I’d love to be able to visit there too. 🙂 Hogwarts is a must too. If only it wasn’t fictional! 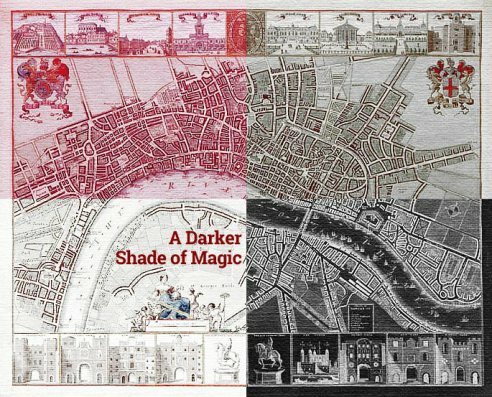 Rissi recently posted…Top Ten Tuesday | Passport to the World: Oh, the Bookish Cases, Places, and Spaces We’ll See! Yes, definitely Narnia! I must admit I haven’t read (or seen) Anne of Green Gables, but I should try it for sure! Yes, yes, yes, yes… haha. I agree with all of this! Hogwarts will forever be my dream, and Camp Half Blood would be amazing. I’m also happy you included Cabeswater! I feel like I would need to learn Latin first, though. I couldn’t agree with you more! There are so many book settings I would just love to visit. 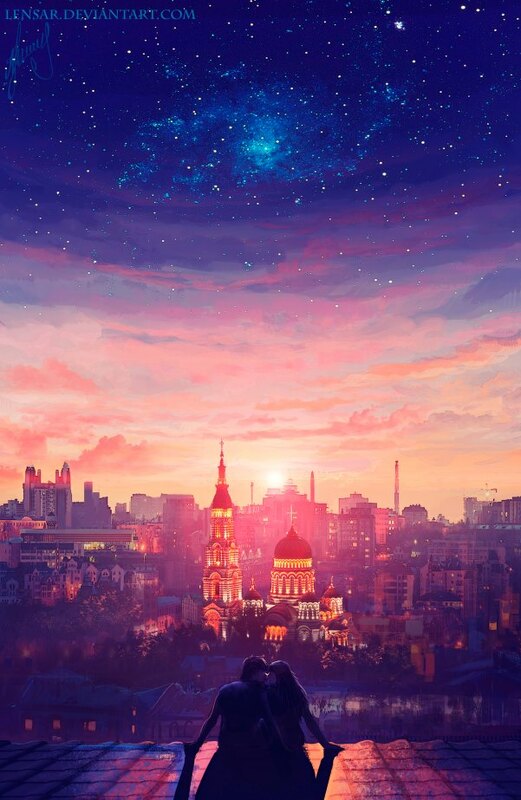 Hogwarts and Velaris are places I would just love to visit. By the way, that picture of Velaris is so beautiful! 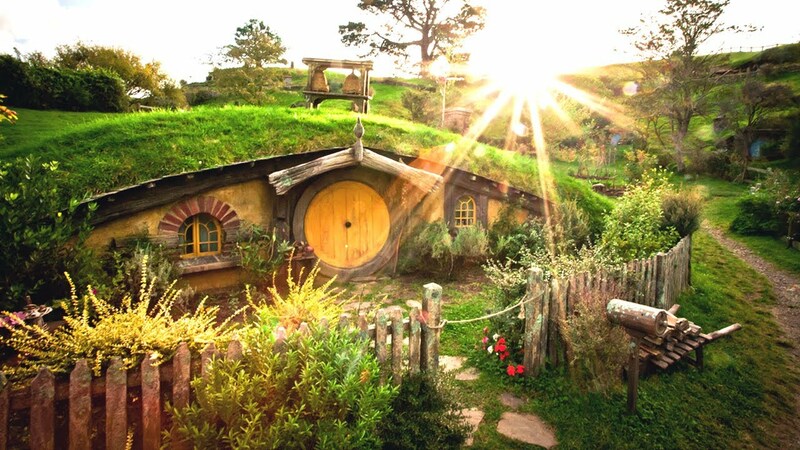 The Shire would also be so fun to visit. The place the movies were filmed is on my bucket list. Velaris sounds so wonderful and there is so much amazing fanart about it 🙂 And the Shire, I’d love to visit those film locations as well! The Shire- so much yes. I’d happily go live there lol. And Highgarden- I think that might be one of the coolest placers in Westeros we haven’t seen yet? It sounds fabulous. Great list. The Shire and Hogwarts both made my list as well. And while I was vehemently against visiting Westeros as a whole, if I was going to make a trip, Highgarden would be my destination. I’d never have thought of Highgarden but that illustration is stunning and, now I think about it, has definitely jumped to the top of my list! Halloweentown, Camp Halfblood and Stars Hollow would all be wonderful too. I think I’ll just stay this side of the story, thank you very much. I don’t really want to live in a world where orks live just outside my door! Oh yes, the Dawn Court definitely sound so nice too! The Shire and Hogwarts made my list as well! Great list. Here is my Top Ten Tuesday. They do sound like great location! Thanks! I really need to read The Hobbit and The Lord of the Rings!! I totally forgot about Cabeswater, but that is also such an exciting place to visit! Does Stars Hallow actually exist? Is it called that? It’d be the best thing ever to go there and re-live the Gilmore Girls experience! 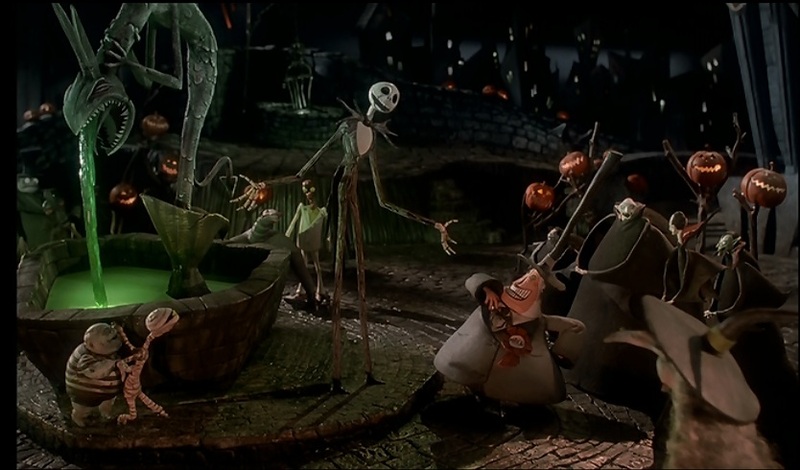 Halloweentown and basically ALL of Tim Burton’s movies (including the Christmas one) freaked me out so much as a kid. But I still need to give them a re-watch because they were super interesting! WOW, I love your list! Fantastic post! The Shire seems like such a blissful place! 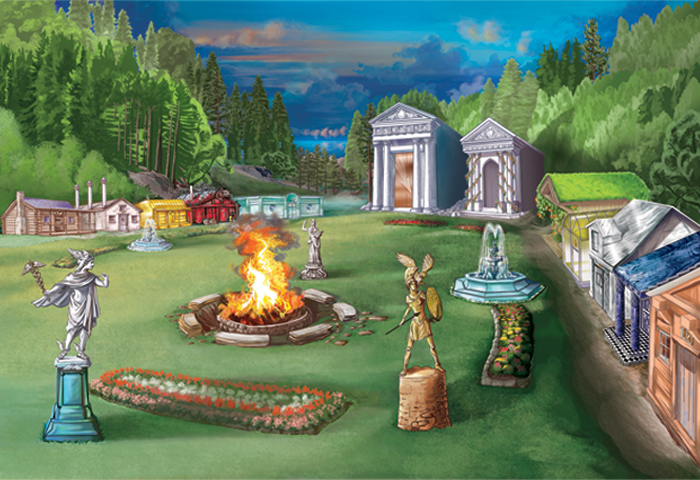 And Camp Half-Blood would be really cool, too! Highgarden is probably one of the better (safer?) places in Game of Thrones! Yes, I’d love to live in the Shire, it just sounds so peaceful 🙂 And if I’d have to move to Westeros, I’d definitely prefer Highgarden to King’s Landing, Winterfell or any of the other places! Yes, I’ve always been convinced that Stars Hollow is the place for me. After growing up in a small town and hating it, I’m surprised that I would love to live in one again. Barb (boxermommyreads) recently posted…TTT – 10 Books Settings I’d Like to Visit – NOT! The Harry Potterverse was on my list of places to visit as well, but I love your idea of Star’s Hollow! That series always made me want to live in a quaint little town in Connecticut. Awesome list! I would also have The Shire, Hogwarts, and Red London on my list! Not sure about Ravka, thought – still seems a dangerous place! Well, at least if your Grisha, which I might be. I love this theme! The Shire and Stars Hollow are definitely dream destinations! Oh so many good ones. But no matter how pretty High Garden is, you could not pay me a million dollars to go anywhere near Westeros or that world, haha. The Shire would be a lot of fun. 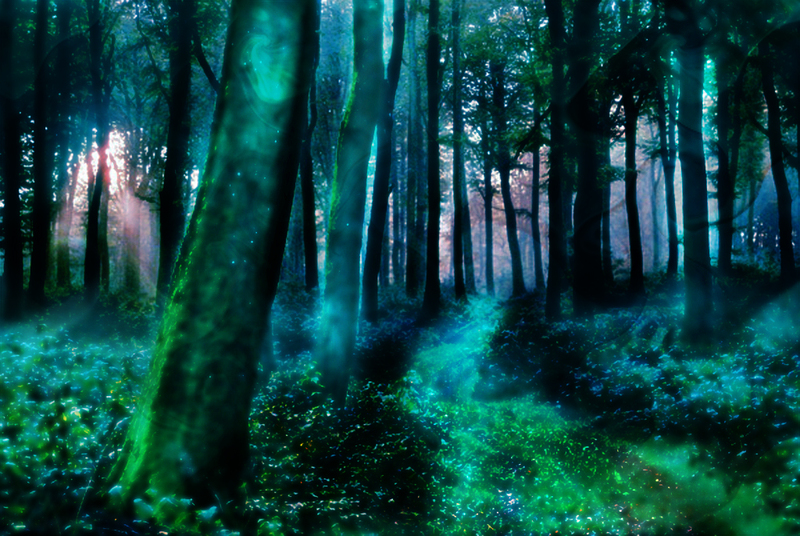 Oh yeah, Lothlorien sounds soo good too, so I can definitely see why you picked that one! Oh oh!!!! Take me to Hogwarts someoneeeee!!! Loved your list!! <3 Shadowhunter universe and Narnia are my other favourites! Poulami @ Daydreaming Books recently posted…Review: Wonder Woman: Warbringer by Leigh Bardugo || Girl Power at its Peek! Oh, the Shadowhunter universe and Narnia are such great picks too! Oh some great places. I would love to feel tall in the Shire and really want to visit Hogwarts even if it is only at Universal Studios! LOL Great list! OH MY GOD, HOW DID I NOT PICK HALLOWEENTOWN?!?! Great pick! YES to Red London. I’d love to see all that magic. Hogwarts is dominating the topic, I would totally go there, and pretty much everywhere on your list! I love your list, especially Camp Half Blood and Stars Hollow! Quite a few of these were on my list this week too! 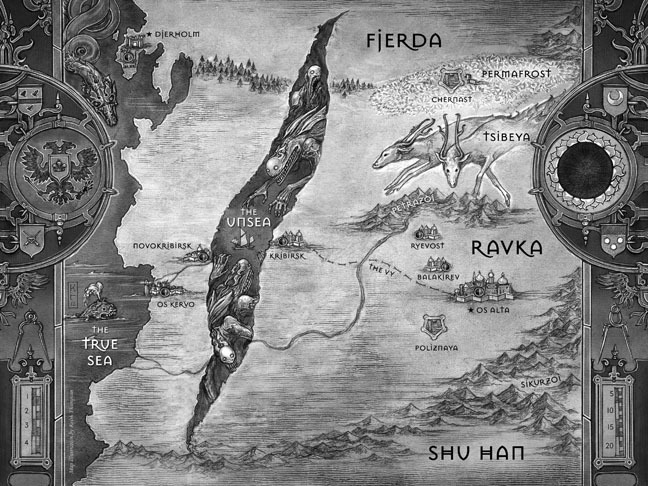 As much as I love The Grisha series I’m not sure I’d want to go to Ravka… though it might be worth it to meet Nikolai haha. I love all of these choices although I haven’t read The Raven Cycle yet. I think I’d love to see Ravka as it is now… BTW – DYING to read the new series she is working on!!!!!!!!! I need more Nikolai! I’d ESPECIALLY love to go to Ravka to see Nikolai 😉 And OMG YES I’m so, so excited for more Nikolai! It’s been the only thing I wanted ever since finishing the Grisha trilogy and now my wish is coming true and I am so HAPPY!